Join Cross Cultural Journeys, Horns to Havana and the Jon Cleary Music Project on an exciting learning journey as we explore the roots of Cuban music, art and culture. Participate in Master Classes and rehearsals, as well as private and public concerts with Grammy Award Winner Jon Cleary, his US musicians and their Cuban brothers and sisters. 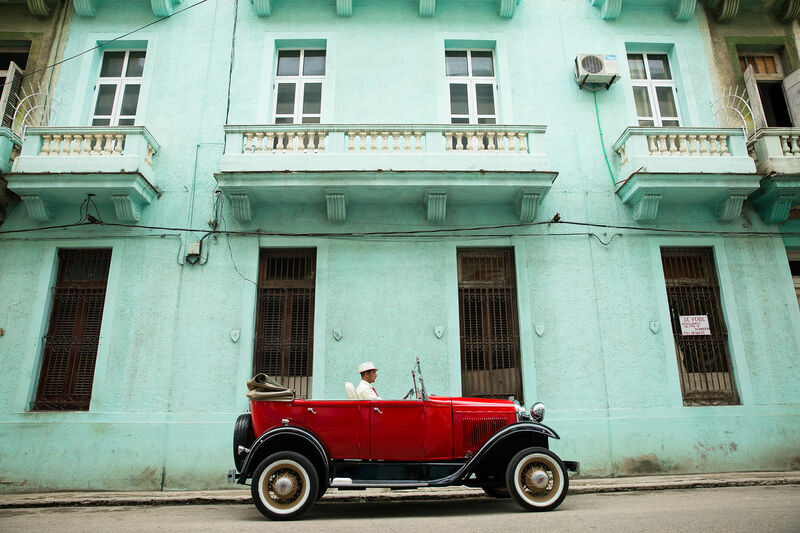 Begin your journey in historic Santa Clara, then continue to the colonial towns of Cienfuegos and Trinidad before joining the Jon Cleary Music Project on a 5-day musical and cultural exchange in bustling Havana. Spend time with Jon, his band and up-and-coming Cuban music students in local studios and music conservatories. Interact with the Cuban people who always welcome visitors with friendly smiles, laughter, and conversation. The emphasis of the journey will be on music, and on people-to-people exchanges, for participants to experience Cuba up close on this “off limits” island, during a unique period of transition, as restrictions on open travel to Cuban are still in place*. * Cross Cultural Journeys received a legal People-to-People license from the US government to take Americans to Cuba for the first time in 1998. With over 50 visits since that time, CCJ has built strong relationships in Cuba's cultural, music and arts scenes, as well as with government officials, teachers and many local communities and individual people across the island. In January of 2015, President Obama loosened the restrictions for Americans on some travel to Cuba. Since then, Cuba has seen an immediate surge in American travelers by the thousands, something that will expectantly continue for the next several years. Under the current US administration, however, group travel to Cuba is still allowed with support from organizations such as Cross Cultural Journeys, while individual travel and tourism without a specific itinerary is once again prohibited by the US government. SANTA CLARA founded in 1689 in central Cuba, it is remembered throughout history for the Battle of Santa Clara in 1958. Featuring monuments to the fall of the Batista regime, it is also home to the mausoleum of one of Cuba’s most famous revolutionary leaders, Che Guevara. Day 1 | December 14 | Home City to Santa Clara Arrive at the Santa Clara airport and be met by your Cuban English speaking guide. Drive to lunch at outdoor paladar, serving as an art and theatre project for local artists. A paladar is a privately owned restaurant usually in a private home. This afternoon visit the Che Guevera and Tren Blindado monuments and learn about the history of the Cuban Revolution. Check into your hotel with time for a swim and relaxation after a day of travel. Buffet dinner at the hotel. Trinidad in central Cuba, is one of the best-preserved cities in the Caribbean. Dating back to a time when sugar trade was the main industry in the region, it offers exquisite Spanish Colonial architecture and warm, friendly people. A day spent within Trinidad’s streets is essential to exploring local arts and crafts, especially textiles. Day 2 | December 15 | Trinidad After breakfast at the hotel, drive to the UNESCO town of colonial Trinidad, enjoying a walking tour of the historic area with a local guide. In the afternoon, continue to explore Trinidad on your own, or if you wish, with a guide. Visit the Romantico Museum of Decorative Arts. Visit a women’s embroidery co-op and small artist galleries. Visit the artisan’s street for crafts or get into local music at Casa de Trova. Lunch on own at Sol y Ananda or any other of the numerous fabulous restaurants in Trinidad. In the early evening enjoy a group salsa class in the old ruins at Casa de la Música. CIENFUEGOS, Cuba’s La Perla del Sur, the “Pearl of the South” summons travelers from around the world, drawn into its seductive melee of French Colonial architecture and artistic spirit. A relatively young city, Cienfuegos was settled in 1819, by French and Louisianan immigrants, and to this day retains much of its former charm, leading to a 2005 declaration as an UNESCO World Heritage site. HAVANA is a bustling hub at one of the world’s greatest natural harbors. This showcase of the wealth, power, and sophistication of Cuba stems from the time of its 16th century founding as the greatest port of New Spain. Today, it is a place of beautiful decay and the stirrings of change, along with all the best in Cuban art, music and culture. Day 8 | December 21 | Havana After breakfast, we bid Cuba farewell and depart for the José Martí Airport for our flights back home. INCLUDED: Legal documentation and itinerary for the People-to-People category of travel; medical insurance while in Cuba (i.e. not emergency evacuation – check with your health insurance); in country transportation per itinerary; accommodation in double occupancy; best available hotels outside Havana; full breakfast buffet (B) daily at the hotel; lunch and dinner (L/D) per itinerary; Cuban English speaking local guide; CCJ trip manager; guest speakers; all entrance fees on itinerary; preparation materials; tips for bellman and included meals on itinerary; bottled water on the bus. NOT INCLUDED: International airfare, Cuban visa, departure tax and medical insurance while in Cuba; Meals not on itinerary; alcoholic beverages; excursions not on the itinerary; tips for local guide and driver (optional, yet customary); travel cancellation and evacuation insurance (strongly recommended see below). 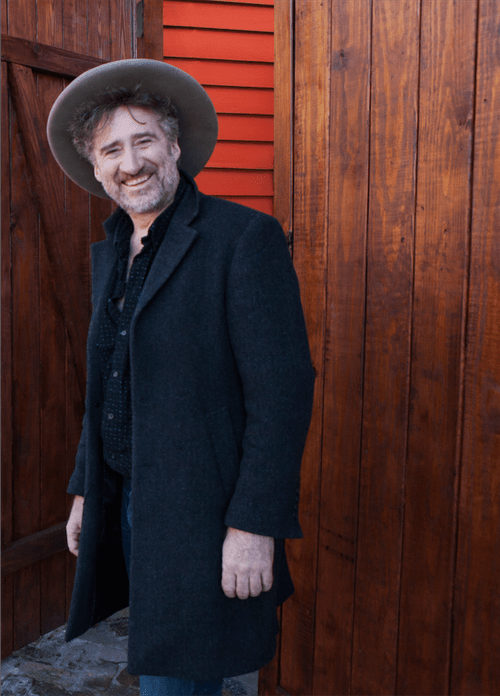 Jon Cleary: Jon Cleary’s love and affinity for New Orleans music goes back to the rural British village of Cranbrook, Kent, where he was raised in a musical family. Cleary’s maternal grandparents performed in London in the 1940s, under the respective stage names Sweet Dolly Daydream and Frank Neville, The Little Fellow With The Educated Feet – she as a singer, and he as a crooner and tap dancer. As a teen Cleary grew increasingly interested in funk-infused music and discovered that three such songs that he particularly admired--LaBelle’s “Lady Marmalade,” Robert Palmer’s version of “Sneakin’ Sally Through the Alley,” and Frankie Miller’s rendition of “Brickyard Blues” – were attributed to Allen Toussaint as either the songwriter, the producer, or both. Cleary’s knowledge of Toussaint’s work expanded significantly when his uncle returned home to the U.K., after a two-year sojourn in New Orleans, with a copy of a Toussaint LP and two suitcases full of New Orleans R&B 45s. In 1981 Cleary flew to New Orleans for an initial pilgrimage and took a cab straight from the airport to the Maple Leaf Bar, a storied venue which then featured such great blues-rooted eclectic pianists as Roosevelt Sykes and James Booker. Cleary first worked at the Maple Leaf as a painter, but soon graduated to playing piano there – even though his first instrument was the guitar, which he still plays and has recently reintroduced into his live performances. As word of Cleary’s burgeoning talent began to spread around town, he was hired by such New Orleans R&B legends as Snooks Eaglin, Earl “Trick Bag” King, Johnny Adams, and Jessie “Ooh Poo Pah Doo” Hill, while also gaining the respect of the great Crescent City pianists Dr. John and the late Allen Toussaint. Years later, in 2012, Cleary recorded a critically acclaimed album of all-Toussaint songs entitled Occapella. 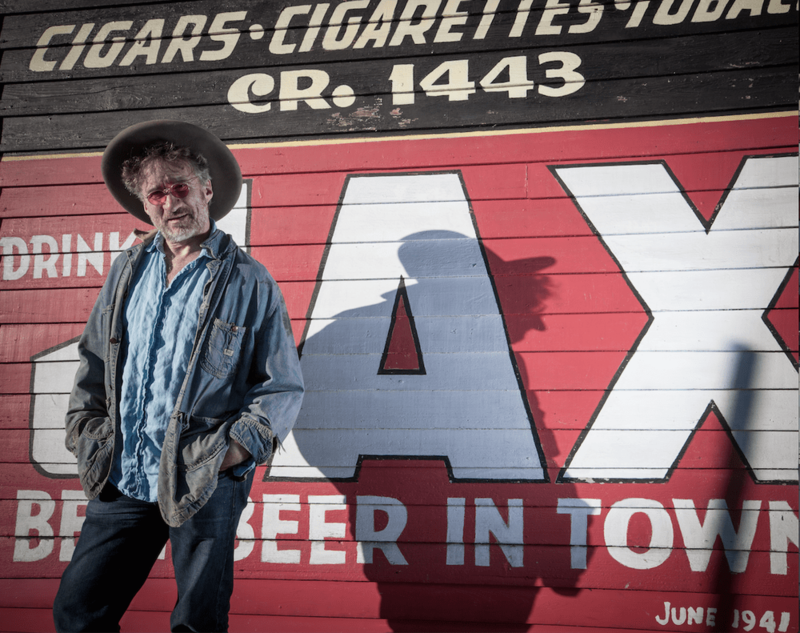 Following up on his critically acclaimed, Grammy-winning album GoGo Juice, Jon Cleary made a triumphant return with the infectiously ebullient Dyna-Mite (FHQ Records). Sly, slinky, and deeply soulful, the aptly entitled new release finds this Big Easy funk savant – a virtuosic keyboardist, profoundly expressive vocalist, and quite distinctive songwriter – in peak form on a set of all-original material. Like GoGo Juice, Dyna-Mite was co-produced by Cleary and the prolific John Porter, whose eclectic, behind-the-board credits include albums by Ryan Adams, Billy Bragg, Elvis Costello, B.B. King, Buddy Guy, R.L. Burnside, Taj Mahal, and the late Hammond B-3 master Jimmy Smith. Dyna-Mite was recorded in several studios around New Orleans, including Cleary’s in-home facility, with accompaniment by a host of the Crescent City’s A-list musicians. These ace coconspirators include the Lettuce Horns, guitarists Leo Nocentelli (formerly of The Meters) and Shane Theriot, the rhythm sections of drummers Jamison Ross and A.J. Hall, bassists Calvin Turner and Cornell Williams, and the multi-instrumentalist and songwriting partner-in-crime Nigel Hall, among many others. Dyna-Mite flows seamlessly, from straight-up New Orleans grooves à la Professor Longhair –such as the raucous, streetwise title track – to shades of classic ’70s soul reminiscent of Bobby Womack, as heard on the lush, plaintive “21st Century Gypsy Singing Lover Man,” which Cleary co-wrote with Taj Mahal. “That song is about a musician’s life on the road – we wandering minstrels represent the world’s second-oldest profession,” Clearly wryly notes. “Skin In The Game” explores a similarly reflective mode, utilizing a deep-pocket 1-6-2-5 chord progression.